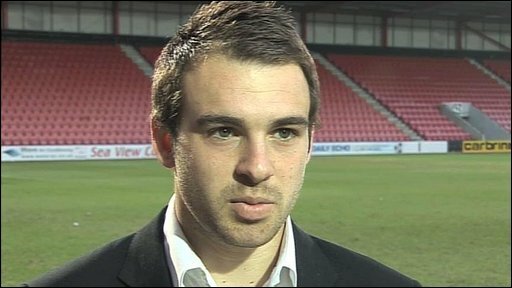 Bournemouth striker Brett Pitman believes a lack of competitiveness is stopping more Channel Islanders playing professional football in England. 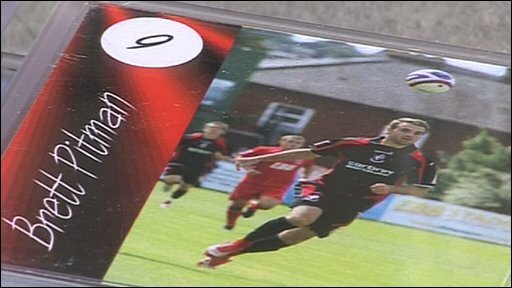 Pitman signed to Bournemouth from St Paul's in Jersey and told BBC Channel Islands that it is hard to get a break. "I was lucky to get sent away a few times. It's hard because there is no real competitiveness," said Pitman. He became a first-team regular after financial trouble hit the club and is the side's top scorer this season. When Pitman was growing up Guernsey's Matt Le Tissier and Jersey's Graeme Le Saux were at the top of their game for both club and country and he acknowledges that he was inspired by both of them. Pitman would like to emulate the achievements of those Channel Island greats but admits he has a long way to go despite already scoring 11 goals this season for the League Two strugglers. Although he is currently the only player from the islands in the English leagues he believes others do have the skills to make it. "There's a lot of good players over there but it is not easy to get noticed but when you come over to England to play for Jersey you've got to do well," Pitman said.